Growing up, I didn’t need Michigan Week to create pride in our state. My dad was the forerunner of Tim Allen and his “Pure Michigan” ads. Dad would speak about Detroit and Michigan as though no other place could reach up to its standards. Michigan had the best roads, the best fruit, the best recreational options, and the best people. We even had Soapy Williams. The strange thing is that Dad never said that we had the best weather. As for me, Michigan Week meant that school would soon be over for the summer. Yes, we would have a bulletin board about Michigan Week. We would also have a lesson or two about the greatness of our state, but none of those lessons have stuck in my mind. The highlight of Michigan Week was the parade! Dad never took us to the Hudson’s Thanksgiving Day parade. I always wondered why this never happened. We only lived a few miles from the parade route. Was my Dad shunning the crowds? I can’t give an answer, but every Thanksgiving we would sit in front of our black and white television set and watch the parade. Dad always enjoyed Sonny Eliot’s jokes during the parade, however, all the commercials annoyed him. The Michigan Week parade would be the only live parade that I would see until I became an adult. We would visit my aunt on Beresford and then proceed to park ourselves on the curb in front of the Russell Kelly building (On Woodward between Beresford and Davison). You would think that I would remember the Highland Park band, the clowns, and the old cars, but I don’t. The only thing I remember about the parade was the candy! When the candy would fly out unto the street, I quickly moved into action to get as much as I could. Candy was a rare treat for me. 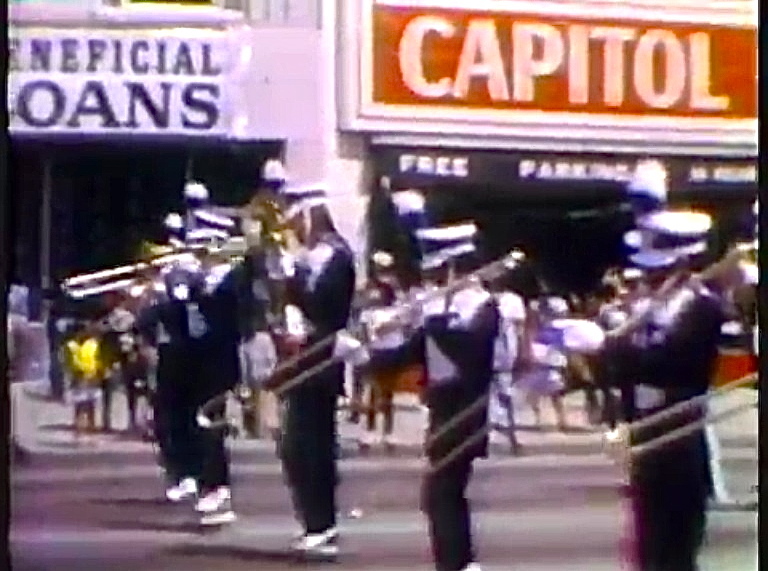 The Highland Park Marching Band in the early seventies. Sorry for the photo quality. Michigan Week also consisted of a fair with rides, food and those games where you would win a prize if you accomplished some difficult task. When I was little, my parents limited me to the kiddie rides, such as going in a circle in a small boat, or in a car. There was also the merry-go-round. When I was eleven or twelve, I attended the fair with friends. I never liked the more “daring rides”. The most adventuresome ride that I would tackle was the Tilt-a-whirl. To this day, I don’t go on any rides that appear risky. The food at the fair was not much of a highlight. The only thing I would ever buy were the sno-cones. I could eat this wonder of ice and syrup all day long. The magic of the parade and the fair have disappeared, but I am still very grateful that I was raised a Michigander (Michiganians was never used in my house). Yes, I have lived in other places in America and overseas. 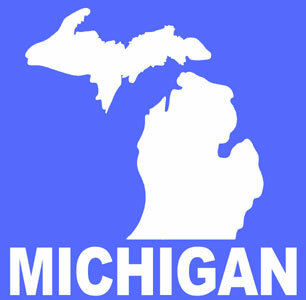 I have learned that Michigan is not the only great place to live, but I will always be proud to be called a Michigander. This entry was posted in Highland Park Memories and tagged Detroit, Highland Park, Michigan, Michigan Week, Michigander, parade, Pure Michigan, Russell Kelly, sonny eliot, state pride, tilt a whirl, Tim Allen by markjemilbooth. Bookmark the permalink. Wow Mark..Thanks for sharing this! Great memories as we celebrate our 90th annual Michigan week Parade! I found a “Wayne Booth” in a 69 year book, any relation? Yes, Wayne is my older brother. He teaches at WSU and has retired from teaching at Crockett High School in Detroit. This piece brought me back. I really want to say thanks!